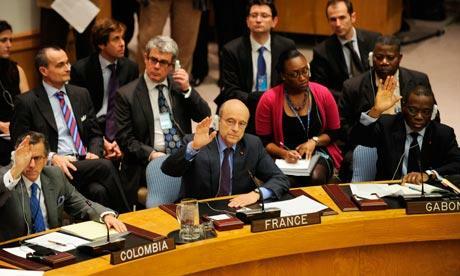 France in London | France and England to intervene jointly in Libya? 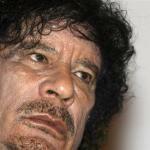 France and England to intervene jointly in Libya? The United Nations Security Council voted yesterday in favour of Resolution 1973, authorising military action to protect Libyan civilians from Muammar Gaddafi's forces. Within the next few hours, air strikes will be launched on Libya involving a joint operation of six French and six British planes, and a no-fly zone will be imposed over the country. The intervention was rushed after Colonel Gaddafi's troops heavily bombed Migata and vowed, in a wholly unexpected turn of events, to crush the once-confident rebellion with a final assault on the opposition capital of Benghazi. Indeed, the UN expressed its "grave concern at the deteriorating situation, the escalation of violence, and the heavy civilian casualties". ''It's a question of days and maybe of hours” Foreign Affairs French Minister Alain Juppé said. Pushing for a quick approval, France and Great Britain were at the forefront of the Resolution, and as a consequence both of the countries will actively participate in the military intervention, alongside the USA and Canada. Ten countries approved the vote of the UN Security Council paving the way for international air strikes on Gaddafi's strategic sights, while five countries – Brazil, Germany, India, Russia and China abstained. Vice-Chancellor of Germany and Minister for Foreign Affairs Guido Westerwelle explained Germany's abstention by the fact that the results of western military intervention were "unpredictable" and could have consequences for freedom movements in the Arab world. The Resolution's initiator replied by arguing that the co-operation of the Arab League member states is strongly required, and that the main objective of these strikes are “the immediate establishment of a ceasefire and a complete end to violence and all attacks against, and abuses of civilians". In Bengazi, the opposition's first reaction upon hearing the UN's decision to launch air strikes against the dictator was jubilation. On the other side, Muammar Gaddafi firstly strongly reacted to this vote by declaring that “troops will be coming to Benghazi tonight”, adding : "No more fear, no more hesitation, the moment of truth has come”. He also warned that any foreign attack on Libya would endanger air and maritime traffic in the Mediterranean area. But surprisingly enough, he today announced a ceasefire and halted all military operations. Another trick to buy time ? This unbelievable situation will be discussed tomorrow in a meeting in Paris with the US President, Barack Obama, David Cameron, and the French President, Nicolas Sarkozy.